The only difference between Coroline and Onduline is the thickness. Onduline is 3mm thick and Coroline is 2.6mm. The Onduline - Corrugated Bitumen Roof Sheet (2000 x 950mm) are manufactured from organic bitumen fibres. 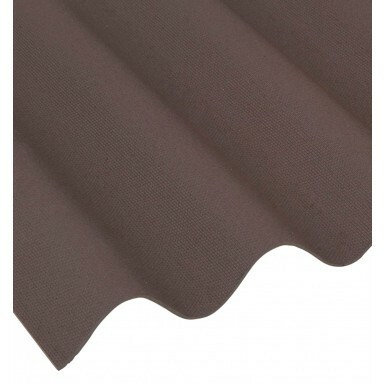 As a result, this makes the roof sheets extremely tough and durable, whilst remaining lightweight and resistant to environmental factors such as driving wind and rain. So much so that the Onduline roof sheet is guaranteed to be waterproof for 15 years when installed to the manufacturers guidelines. The bitumen roof sheets are 3mm thick, 2 metres in length and 950mm wide and only weighs 5.6kg per sheet. 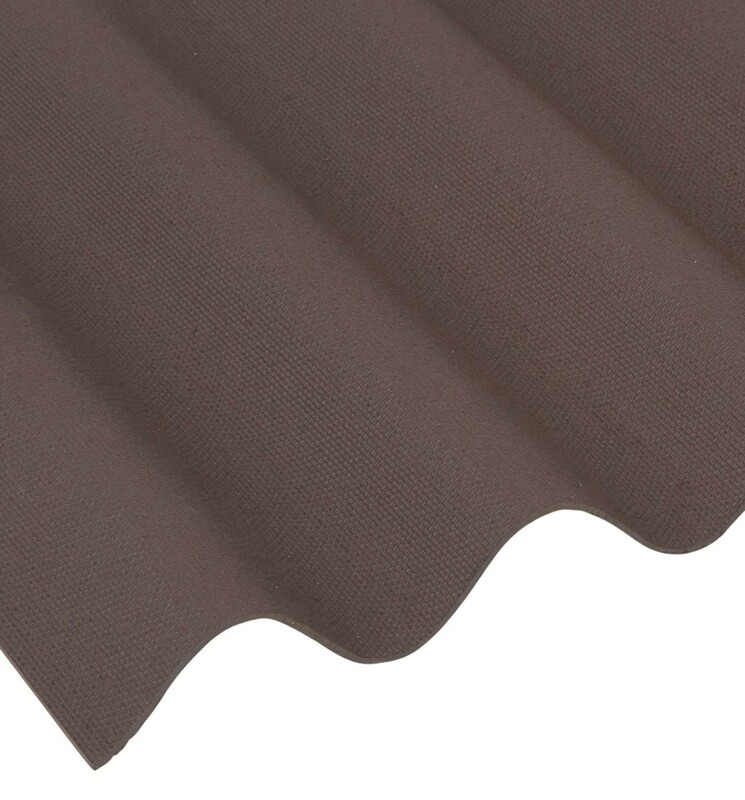 Due to the lightweight nature and size of the corrugated roof sheet, makes Onduline very easy to handle and a quick product to install saving you valuable time. It can also be installed as low as 5 degrees. The sheets come in a range of colours including black, green, red and brown with all the necessary flashing and fixings to complete your roofing project. The Onduline corrugated Bitumen roofing sheets are very DIY friendly. They can be cut very easily with a handsaw and be fixed simply with the matching coloured nails. To see more information regarding the sheet size and installation please view our technical guide below. The Onduline corrugate bitumen roof sheets are by far one of the most cost effective roof sheets in the market today. Unsure on how many sheets you need, why not contact one of our industry experts on 01295 565565 today. Where can Onduline - Corrugated Bitumen Roof Sheet (2000 x 950mm) be used? Shed Roofs - Great for replacing old tired and maybe a leaking shed roof at a sensible cost. Garages - Ideal for garage roofs especially those that require lightweight sheets and those at very low pitches. Stables - Ideal for new or replacement stable roofs. Economical and resistant to corrosion. Good product, but easily damaged. Requires extra support to prevent sheets from sagging as can be affected by the sun. Product is fine, have used it before. Great experience from ordering to installation. Quality sheet 3 mm thick which feels stronger than other makes. Particularly suitable for my windy location. have used onduline before it does the job well. Good product, easy to work with. Purchased as replacement for an onduline roof that lasted over 20 years. Bought these Onduline sheets for my field shelter and I must say I had my doubts but they're holding up great against the weather and are looking just as good! The roofing sheets are quite light to handle and are uniform. I had a large roof to re-cover and though the area was not perfect by any means, the onduline roofing panels have made a very pleasing finish. There is quite a shallow pitch on the roof and it is quite exposed so time will tell how the panels perform. Very easy to install and am very impressed with the quality.